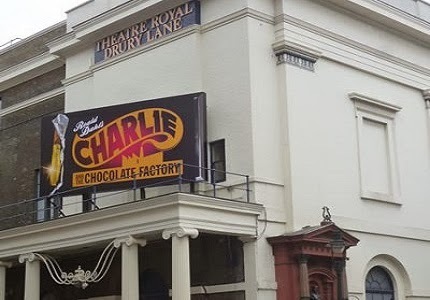 I muscled in on my cousin Christmas present to see Charlie and The Chocolate Factory: The Musical at the Theatre Royal on Drury Lane, London. I'm still a kid at heart, try convincing a five year old child that was no easy task! It wasn't just the show that I loved, it was great to be back in London for the day even thought it was probably one of the quickest days in London! Bright and early on the 17th January 2014 our Virgin Train hurtled down the West Coast Mainline towards London Euston for the matinee performance of Charlie and The Chocolate Factory: The Musical! 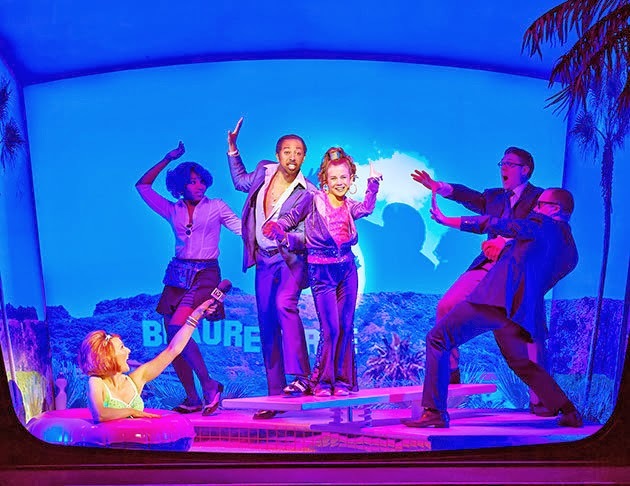 Opening on the 25th of June 2013 at London's Theatre Royal, Drury Lane this new musical hit London's West End! From its humble beginnings of a simple storybook written by children's author Roald Dahl this story of Charlie and that famous chocolate factory is now a all singing and all dancing theatre show. I jumped at the chance of seeing this show for it was a Christmas treat that I received, so I couldn't wait to see if I was going to be transported to a world of pure imagination!? I must say that Theatre Royal on London's historic Drury Lane looked splendid from both the inside and out! It's true that I love London's West End theatre district! Never mind the child within me for it was time to take our seats, it was a interesting trip to the theatre from Euston Station as the London Underground love to close lines for maintenance at the weekends, how considerate! Curtain up, the show began to find Charlie Bucket sitting within a rubbish dump relishing in his urchin-like existence, finding bits and bobs to make inventions. I somehow needed to forget the book and the original movie for this bit as I quickly realised that I wasn't going to see original Charlie, this would be a complete other extravaganza! Charlie couldn't even afford a bar of Wonka chocolate, for the market-seller threw numerous playful puns that children would be blissfully unaware of the meanings but the adults could have a chuckle for the audience predominately consisted of children and their parents. His Grandparents bed was extremely good, with interchanging parts the geriatric four brought a West End like dance routine from their beds! Four golden tickets had been won, firstly by Augustus Gloop, Veruca Salt, Violet Beauregarde and Mike TV! Each presentation of each winner was fashioned into a mock television news special, crafted with a signature show tune and dance. Keeping inline with the new musical theme this segment showed a whole new Violet, something that I commend the writers and directors for executing! Charlie kept his optimism for even his birthday Wonka chocolate bar didn't provide a golden ticket to gain him access into the chocolate factory of Willy Wonka! Charlie Bucket found some money that been left behind by a seemingly wealthy and pretentious couple, that was Charlie's chance? 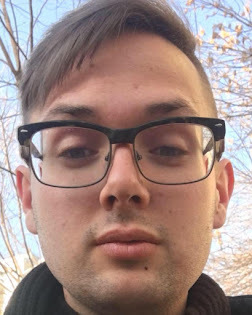 Charlie went on to experience his own television news interview, that segment proved different for Charlie didn't care about the song or dance. A level of integrity remained intact to stay true to the book. Moments away from the interval stood the gates of Willy Wonka's factory, a mix of simple theatre set and computer graphics made their way into this section of the show. Willy Wonka stood in-front of the five bewildered children who had all rightfully won their golden tickets, his entrance did resemble such steps taken by Gene Wilder from the original film. Played by Douglas Hodge, this Willy Wonka brought a simple level of eccentricity to the show that captured the real meaning of this story! Looking back over the first half of this sweet show the attention to detail for costume and set alike translated to the audience effortlessly, this new musical wasn't like anything I had ever seen before on the West End or Broadway and I have been to a considerable amount of shows in my 23 years of life. I would have been elated if I was Charlie Bucket, winning a golden ticket to see one of the most secretive chocolate factories for the closest I've got to that is a visit to Cadbury World! Charlie, Violet, Veruca, Augustus and Mike made their way around Willy Wonka's chocolate factory, accompanied by their unique looking relatives. The famous five took some time out of their exploration of the factory to find a room with edible grass, flowers and a lake made of pure milk chocolate. Augustus made a speedy exit through a suction pipe for his gluttony led him to be in a unfortunate place. Violet over-indulged in a gobstopper gone wrong, for she ballooned into a blueberry to her father's delight! The special effects were plentiful, with sights that I haven't previously witnessed in the West End. Veruca learnt her lesson for she proved to be a bad nut, she had it coming! Charlie and Mike remained, the lucky two moved further into the depths of the factory, the Oompa Lumpas danced about with the use of their get-up! Charlie waited for his fate as he was the last child, greed or disobedience seemed to be the trigger to the other children's exits. Charlie remained the golden boy! Through the insanity of Willy Wonka, Charlie and Grandpa Joe almost walked away with nothing, but one stroke of genius brought back one of the most iconic song's from the original film! 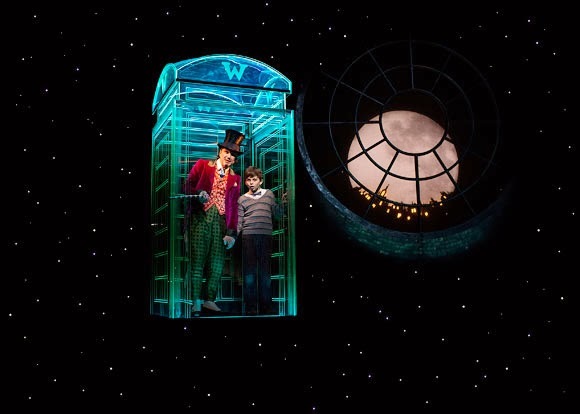 Willy Wonka invited Charlie into his glass elevator after realising Charlie was a born inventor, taking Charlie to new found heights the elevator glowed in the dark theatre amongst a scene of glittering stars! Charlie was welcomed into a 'World of Pure Imagination!' I was astounded and delighted for this song had been saved for the finale! Charlie inherited the factory, welcoming his family into a life that didn't mirror their situation at the beginning! This musical was like a blend of the book, original and remade films placed into a processor to become one magical and mesmirising musical finale! I want to see another show! Oh Charlie! Will Charlie Bucket ever make it to Broadway?! After-all he does have a Golden Ticket!